• This guy is a hero! Cory Kalanick didn't use his ladder to rescue a cat from a tree. 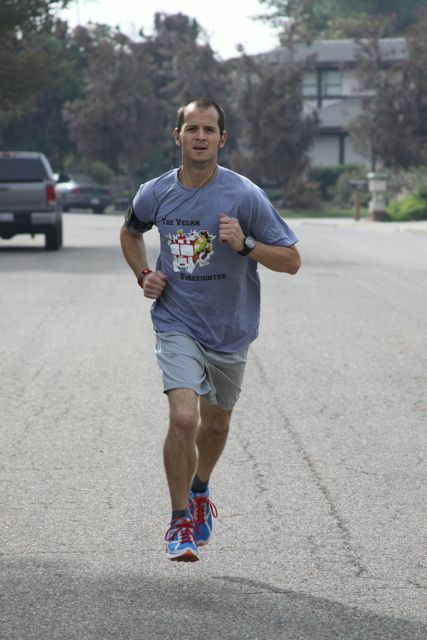 He's firefighter who not only saved the life of a kitten who'd stopped breathing in a house fire, caught it on video and made the news - but he's also a vegan marathoner who raised money for Farm Sanctuary and a dad who runs The Vegan Firefighter! Way to go, Corey. You rock.